As mentioned in my FAQ, white is my favourite colour. I'm not sure why really, most people would say it's boring but I think it just looks so clean and really brightens up the face if you wear it. 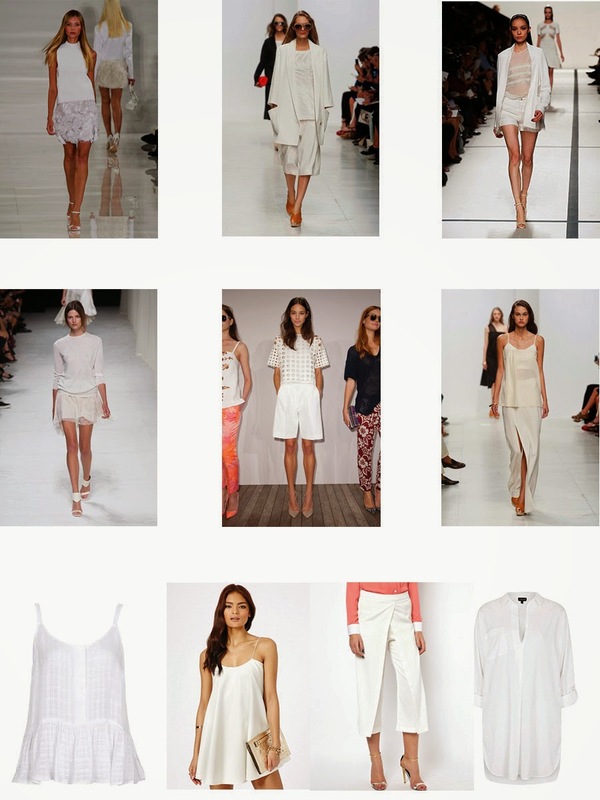 It's particularly on trend this SS14 with so many designers featuring all white outfits in their collections and some of my favourites are below. Another advantage of white is that you can use cheap and basic items like an oversized plain white shirt and it will still look great, it does't need to be complicated. I have been loving white coats too because they literally go with everything but are so chic too, only problem is they will get dirty quickly!